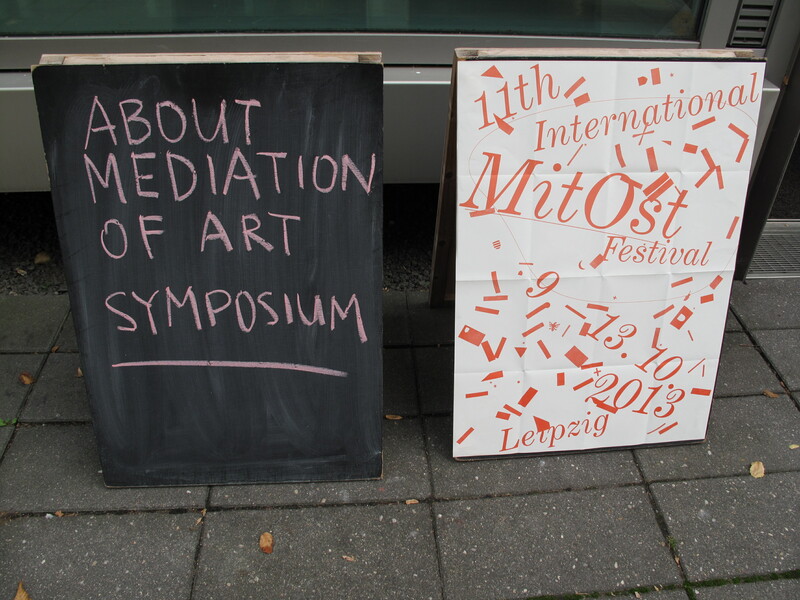 In October 2013 the 1. International Symposium “About Mediation of Art” took place within the MitOst-Festival in Leipzig. 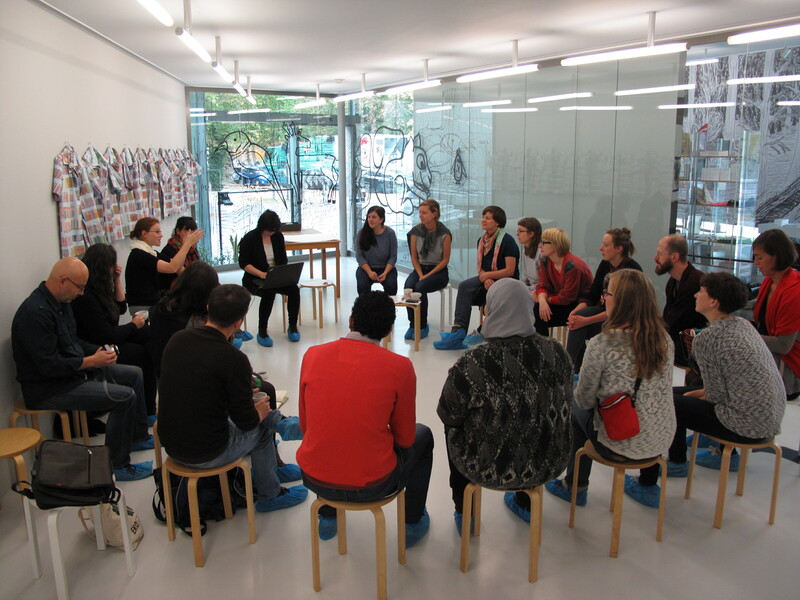 Hosts of the symposium were GfZK (Museum of Contemporary Art) and HALLE 14. 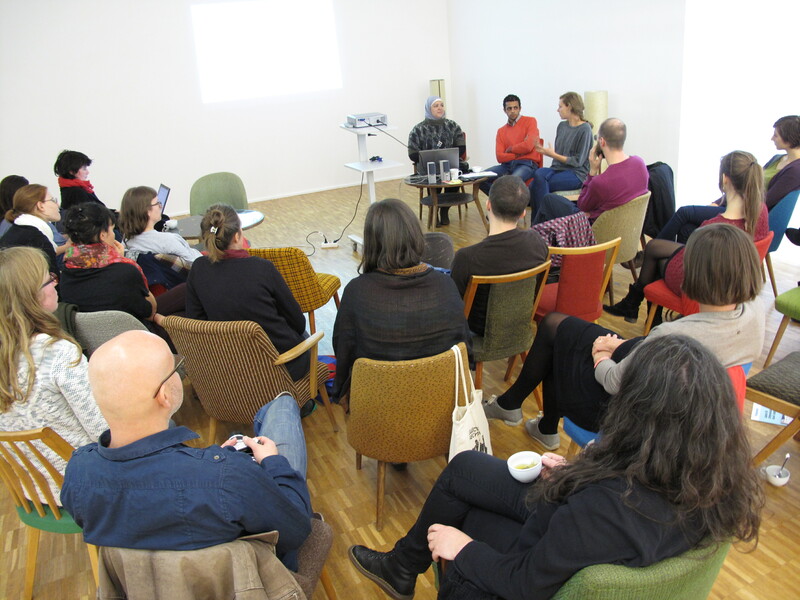 Actors in the field of art and culture from Egypt, Poland, Czech Republic, Spain and Germany came together to discuss several basic aspects of art mediation. 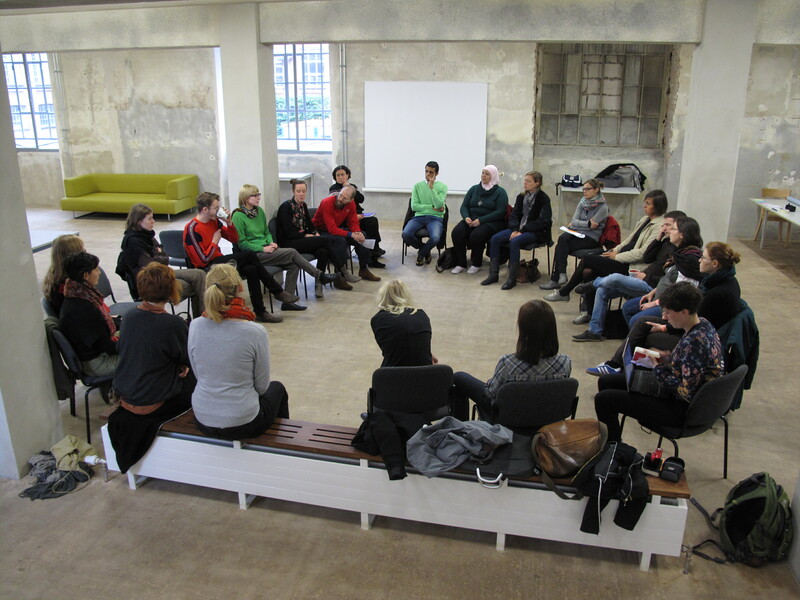 Main questions were asked regarding to the definition of the term “art mediation”, its structure and appearance and the importance of co-laborations between professionals. In the field of the arts and especially in contemporary art, one notices the growing need for supporting the general public in relation to the appreciation and understanding of artworks. Beyond the frame of the exhibition of artworks within art spaces and museums the process of art mediation links artistic ideas and concepts to peoples engagement. With the help of artistic techniques and methods it gives the option to empower pupils, citizens, patients to start designing life and community from their perspective under their special conditions – and being creators and translators from ideas to reality. How could people be engage with works of art? This subject would be discussed in four panels each focused on a differnt question about mediation of art. 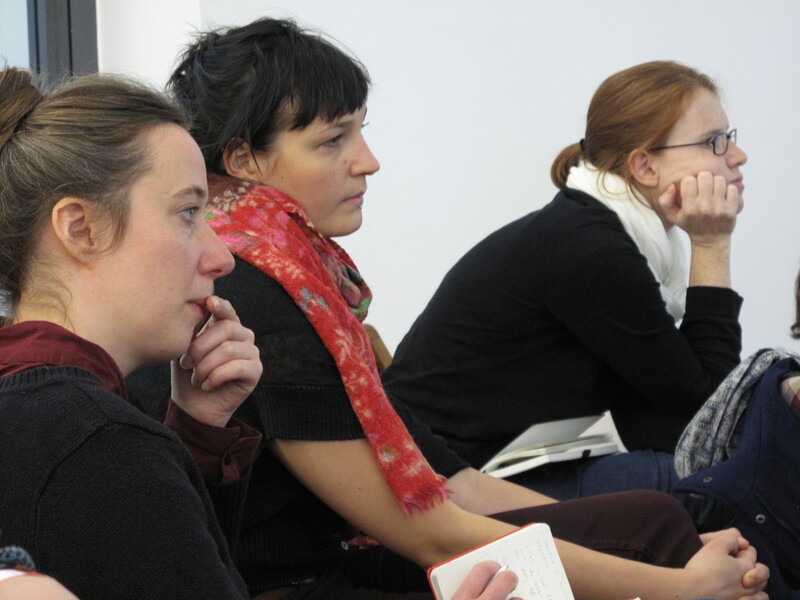 Next to it, partner organisation TripleZeta prepared a public creative video screening event and gave a conference presenting best mediation practices developed within the context of their long term public audiovisual installation and collaborative project elmur. 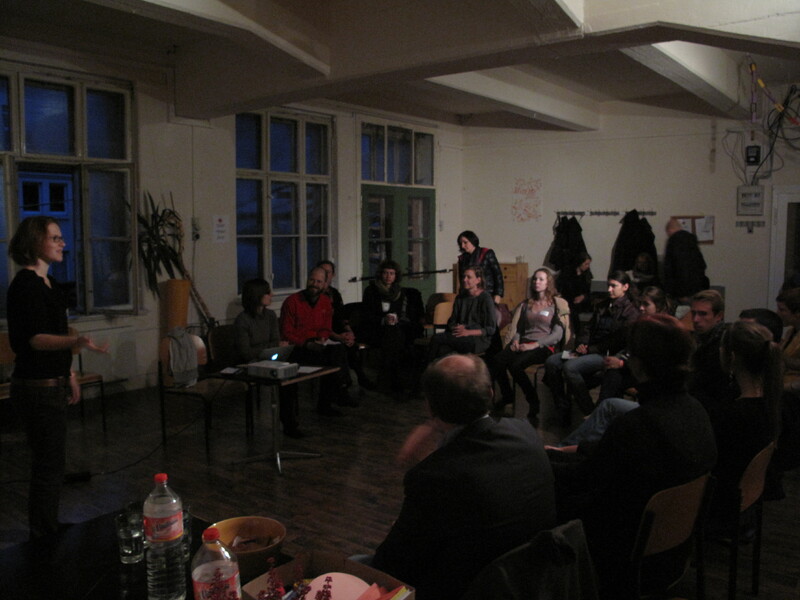 Tags: art, art mediation, Leipzig, meeting, MitOst, symposium. Bookmark the permalink. Previous post ← Wie viel Kunst braucht die Kunstpädagogik?